With up to 75% less sugar than standard supermarket alternatives, enjoy an afternoon pick-me-up without ruining all your hard-earned progress. Created with heaps of delicious cocoa powder and baked with sweet chocolate chips, our Protein Brownie is packed with 23g of protein for an indulgent everyday treat. 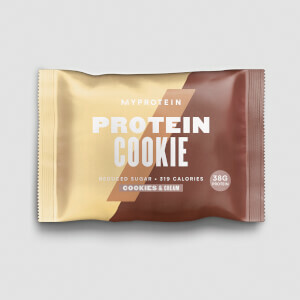 Our convenient chocolatey treats are loaded with high-quality protein, helping to grow and maintain important muscle3 whatever your fitness goals. 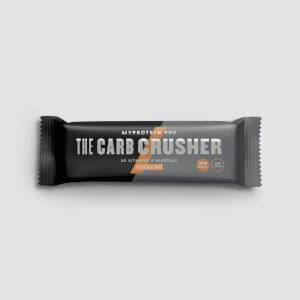 And with 31g of carbs, they also help keep you fuelled and boost recovery throughout the day2 — a must after that early morning class or before an evening workout. 1. Our Protein Brownie has up to 75% less sugar than standard supermarket alternatives. 2. Carbohydrates contribute to the recovery of normal muscle function (contraction) after highly intensive and/or long-lasting physical exercise leading to muscle fatigue and the depletion of glycogen stores in skeletal muscle. This beneficial effect is obtained with the consumption of carbohydrates, from all sources, at a total intake of 4g per kg body weight, at doses, within the first 4 hours, and no later than 6 hours, following highly intensive and/or long-lasting physical exercise leading to muscle fatigue and the depletion of glycogen stores in skeletal muscle. When to enjoy Protein Brownie? 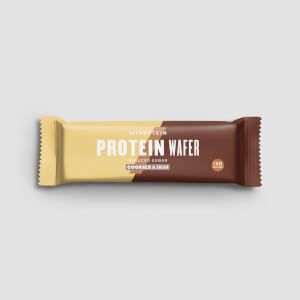 They’re perfect for a sweet bite when you want it most, and our favourite anytime protein boost. What to enjoy Protein Brownie with? These are great on-the-go, but get the protein you need with Impact Whey Protein — with 21g per serving it’s officially one of the best protein powders out there. Store in a cool dry place, away from direct sunlight. Consume as part of a balanced diet and a healthy lifestyle. Suitable for vegetarians. 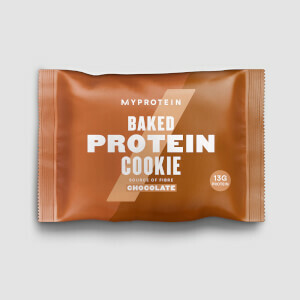 INGREDIENTS: Milk Protein, Glycerine, Glutamine Peptide (Wheat), Oat flour, Vegetable Oil (Palm), Chocolate Chips (9%) (Cocoa Mass, Sugar, Emulsifier (Soy Lecithin), Flavouring), Maltodextrin, Soy Protein, Cocoa Powder, Raising Agents (Sodium Bicarbonate, Cream of Tartar), Flavouring, Sweetener (Sucralose). ALLERGENS: For allergens, including cereals containing gluten, see ingredients in bold. May also contain nuts and peanuts. IMPORTANT INFORMATION: Store in a cool, dry place out of direct sunlight. Suitable for vegetarians.